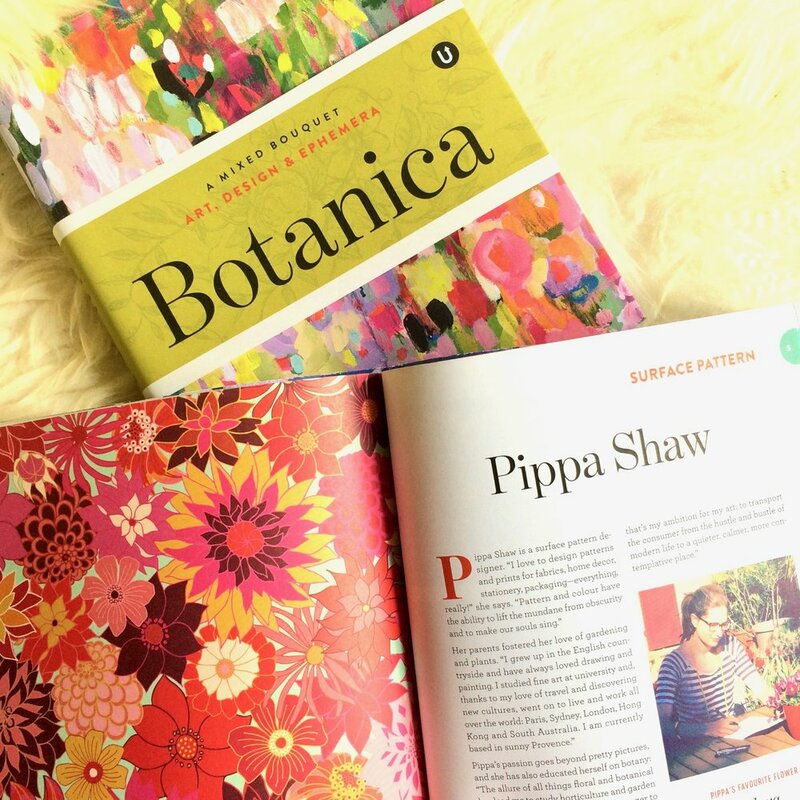 We're delighted to share that Pippa has the huge honour of representing 'Surface Pattern' in the recently released UPPERCASE 'Botanica' Encyclopedia of Inspiration. Flora and horticulture have had a huge impact on Pippa's design work, and this encyclopedia shows how her passions have intertwined. This stunning book features the work of many artists and designers, as well as fascinating insights into the work of floral designers, nurserymen, sculptors, embroiderers and photographers (amongst many others). It really is a thing of beauty!